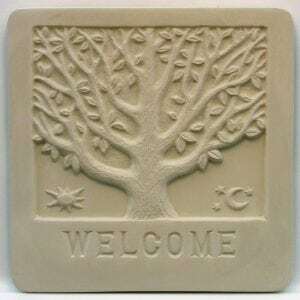 View cart “Welcome Plaque Mold” has been added to your cart. 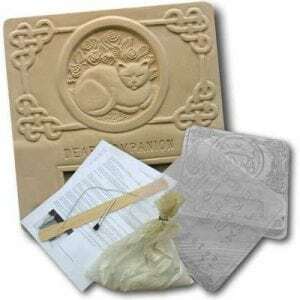 Our garden pet memorial marker kit for dogs come with everything you need to create the perfect pet memorial plaque. This kit includes GardenMolds’ custom blend of smooth, off-white concrete mix, brush, stirring stick, wire, and complete instructions. Our pet memorial stone kit also includes letters and numbers to stamp the concrete and personalize the pet memorial markers. I have purchased many products from this company and I have never been disappointed. I am very excited to try this one. I’m sure it will live up to my expectations. 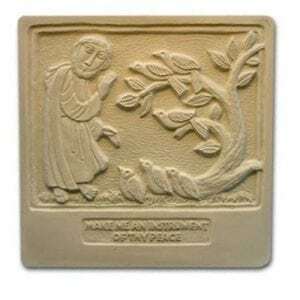 I bought this to make a stone for my neighbors dog, and I have made more stones for friends and family that have lost fuzzy children. The mold is EASY to use and cleans up beautifully for the next pour.